IPOCC must be accessible on the above port through the public facing firewall. An email address of a system administrator who will receive notifications of a pending certificate expiry in the event of failed renewals. Some knowledge working with Batch files. Do not proceed until you have understood the points below and made copies of respective files. This application note is written with the assumption that this is the first time a signed certificate will be installed in the Java Keystores, replacing the default Self Signed Certificate. If there is already a certificate that was previously manually installed either from Lets Encrypt or another certificate authority, please refer to the Addendum for special consideration. Even if currently using the default Self Signed Certificate, it is recommended that you backup (make a copy) the “tomcat.jks” file in each of the three Web Services stores. This way if an issue is encountered you can restore the self signed certificate. By Default, every installation of IPOCC dynamically creates a password for the Java Key Store. This ensures that no two installs have the same passwords. The passwords are stored in the Server.xml file located in the same directory as the tomcat.jks file. Double Clicking the XML file will open in a Web Browser. Locate the entry “keystorePass=” You will need the passwords from each of the 3 Server.xml files when modifying the batch files. DNS records (especially public DNS records) can take up to 4 hours to be replicated across DNS servers on the internet. Often this happens much quicker, however for installation purposes ensure that the DNS records are created on the Public (and Private) DNS servers ahead of time. At minimum there should be an “A” Record created on the DNS Server pointing to the relevant IP Address of the IPOCC Server. For a Public DNS Server, this would likely be the firewall address which would have a rule to either forward all traffic to the IPOCC, or only traffic on specific ports. For the Internal DNS (if applicable) the A record would point to the internal IP Address of the IPOCC Server. Depending on the capabilities of the DNS server, it may be possible to create “Redirects” in order to redirect an easy to remember name to a desired Server port to make it easier for users. Note: The name does not have to match the Servers Name. DO NOT use the Stealth Option if available as it will impact how the URL is presented for certificate validation. If you intend to use Stealth Forward, you will need to ensure that your certificate includes the FQDN being used as the Forwarding name. We will provide two options of Web Server that could be used. The choice of which one to use is personal preference. 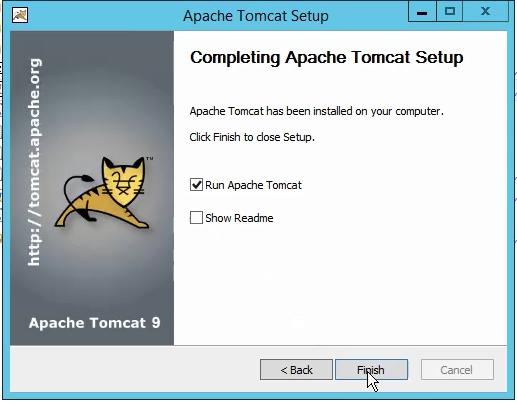 Internet Information Server (IIS) is included with Windows Server operating systems but by default not usually installed, or one can download a separate instance of Apache Tomcat. 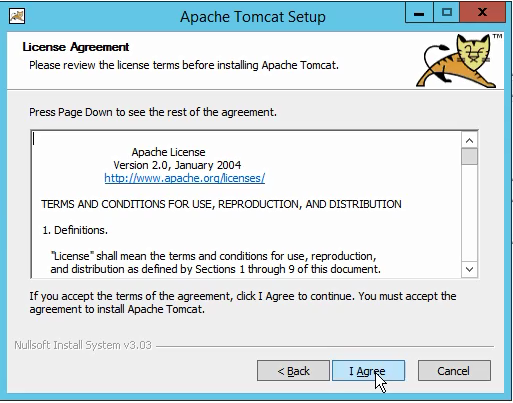 For the sake of this document we will cover both Apache Tomcat and IIS, but only one should be installed. 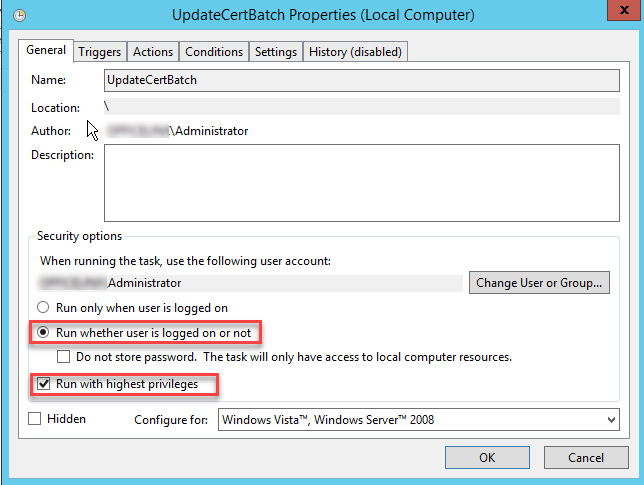 IIS may be simpler when creating certificates as requires fewer steps when using the Win-ACME GUI. At the time of this note, the latest version was R9.0 and subsequent screen shots may include the version number. 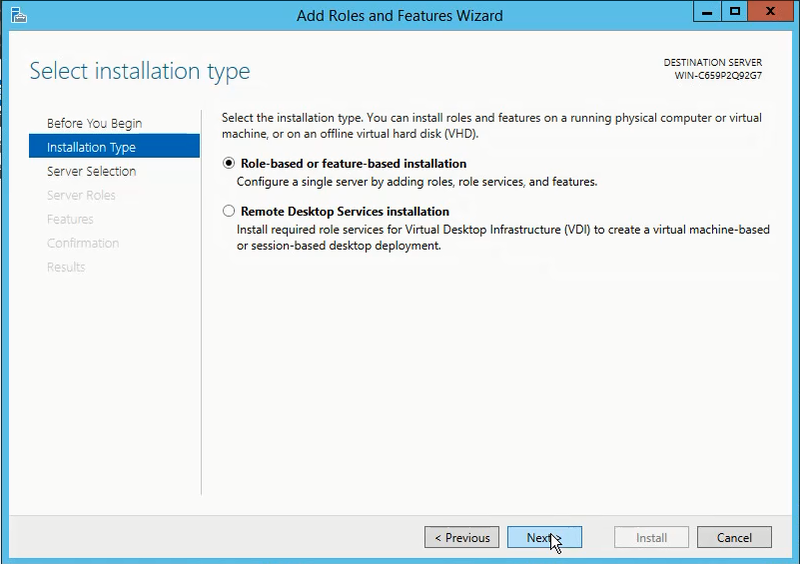 Installation options may differ with different versions. Make sure that the ports listed above are changed. By Default the IPOCC uses 3 instancec of Java Web Services so these ports cannot conflict. The HTTP Connector Port should not be either 8080, 28080. Remember whatever port you choose you need to ensure that the port is opened on the Windows Firewall on the Server, and must be accessible remotely. In our example we will use port 80. 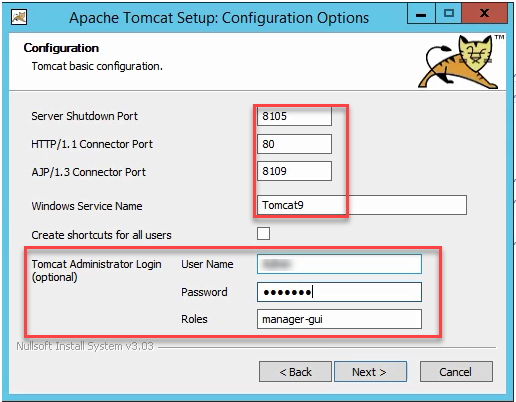 The Tomcat Administration Login is optional and not required. IMPORTANT: JRE is installed by default with IPOCC. DO NOT install Java on the Server. Use the Java Runtime that is included with IPOCC, which is part of the Java Development kit. If you install Java on the IPOCC Server any functionality that relies on the Java Development Kit will cease working. 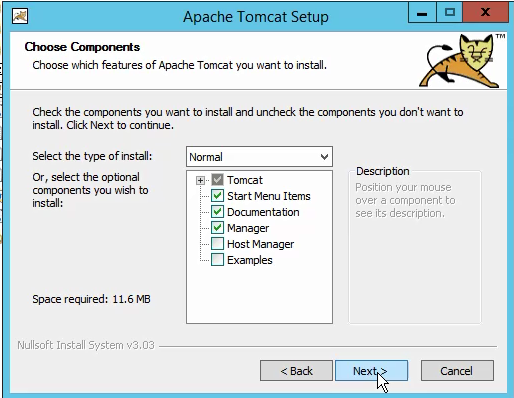 By default the Apache installation is to a path in Program Files. You can accept the default, or shorten the path. 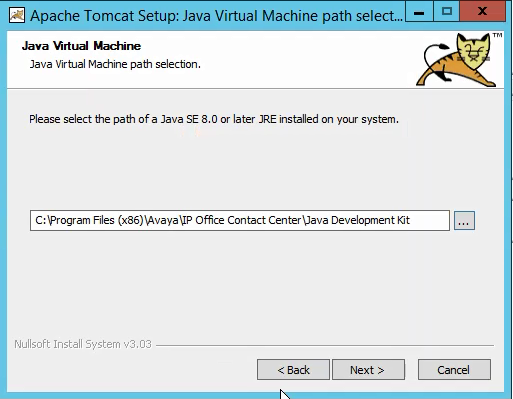 Shortening the path will make it easier when entering the path to the Tomcat directory during the Win-Acme configuration. Once the Services are started make sure that you can connect to the server on the localhost to confirm the connection. If successful check that the server can be accessed using the DNS name within remotely and confirm the same page is loaded. If you cannot connect to the default page, either from the local server or remotely, correct the issue before continuing. 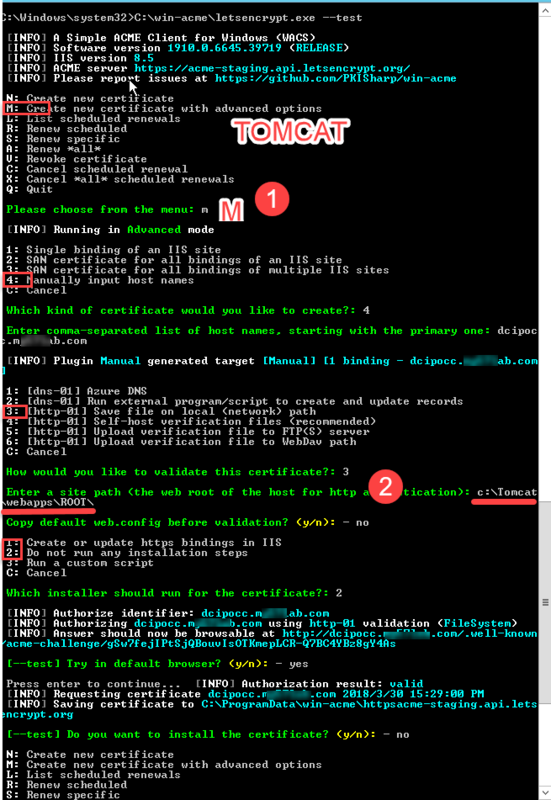 An Example of the default Web Page created by Tomcat is below. If a webpage is created with the name index.html then Apache will display that page instead. The Index Page could be used as a landing page with some links to the actual web services page, or could be left as a blank page. 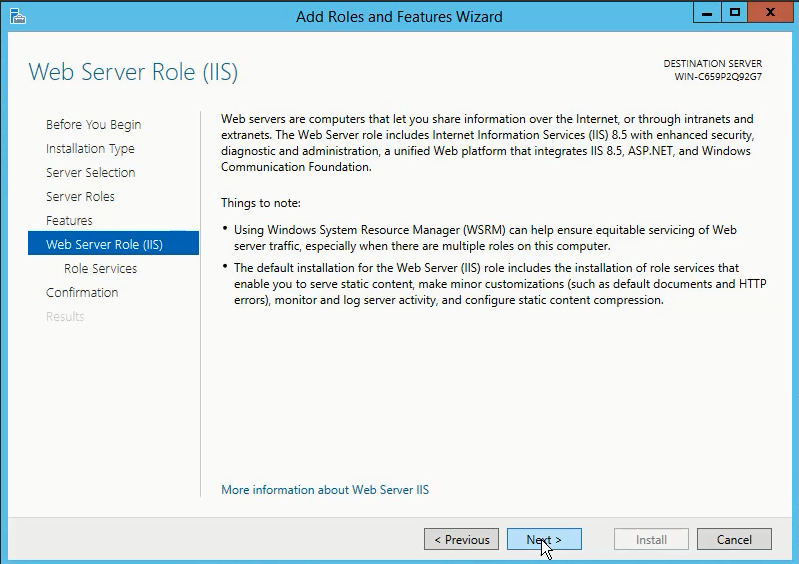 Internet Information Server (IIS) is a Windows Server Role that is not typically installed by default but can be added from the Server manager. 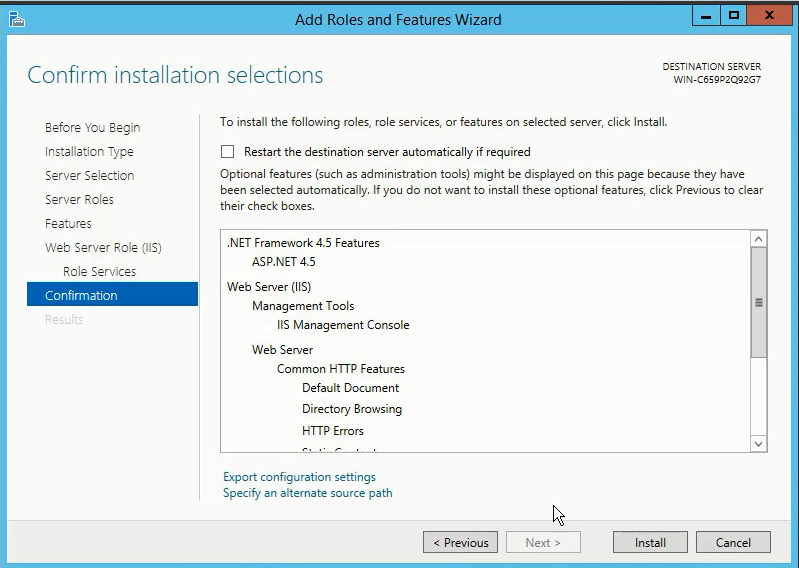 It requires no expertise to install of configure and by default will create a Inetpub directory on the C:\ drive. 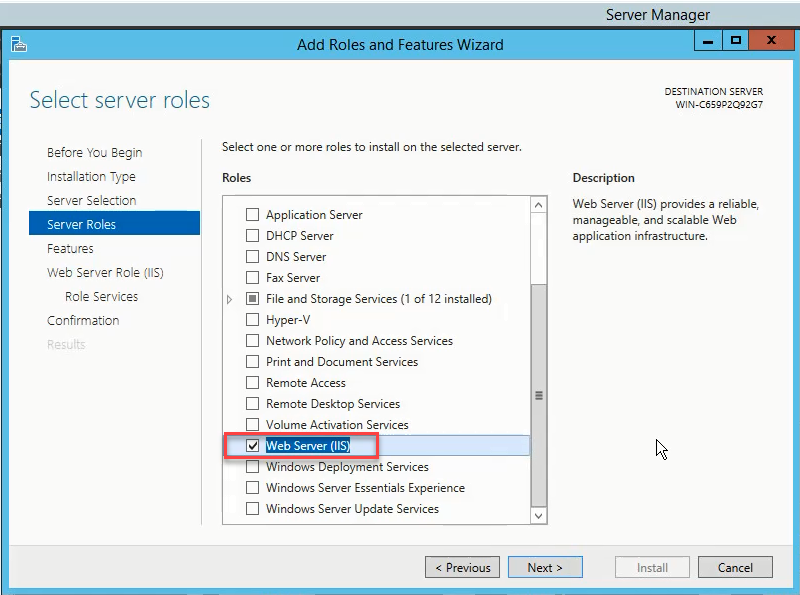 Below are some screenshots that can be expected when adding the Web Server Role to the Windows Server. Before updating the Server Bindings and adding your FQDN to the binding list, make sure that you can connect to the server using http://localhost in your web browser. Once you enter the binding, the server will only respond to the FQDN. To Update the Bindings, Select the Default Website in the Left Column and then select Bindings on the Right. 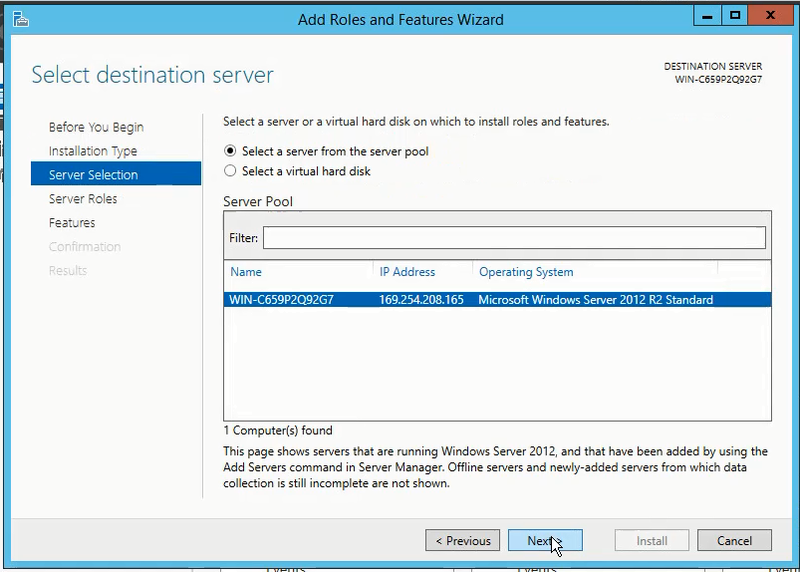 Edit the default binding and set the servers FQDN and port. If you plan on changing the listening port, make sure that it does not conflict with any of the IPOCC Http ports, such as 8080 or 28080. Remember the ports will also need to be allows through the Windows Firewall on the Server as well as your Public Firewall. Once the Binding has been updated connect to the Web Page using the Full FQDN in your web browser. Verify that you are able to connect using a web browser on the same server, a remote PC on the LAN as well as a remote connection from an Internet connected PC. The version numbers are constantly changing, so select the latest version based on the time of your install. 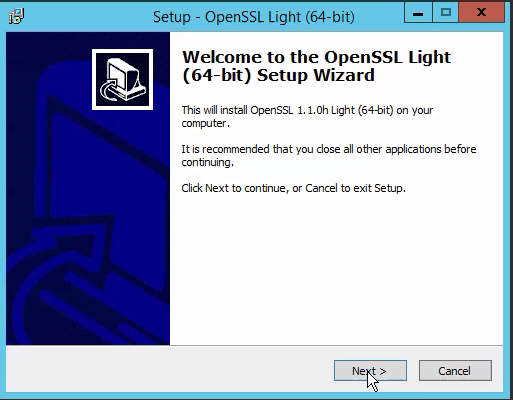 You only need the “Light” installer for your operating system. Most IPOCC installs should be using 64 bit operating systems. Below are some screen shots that go through the installation process. 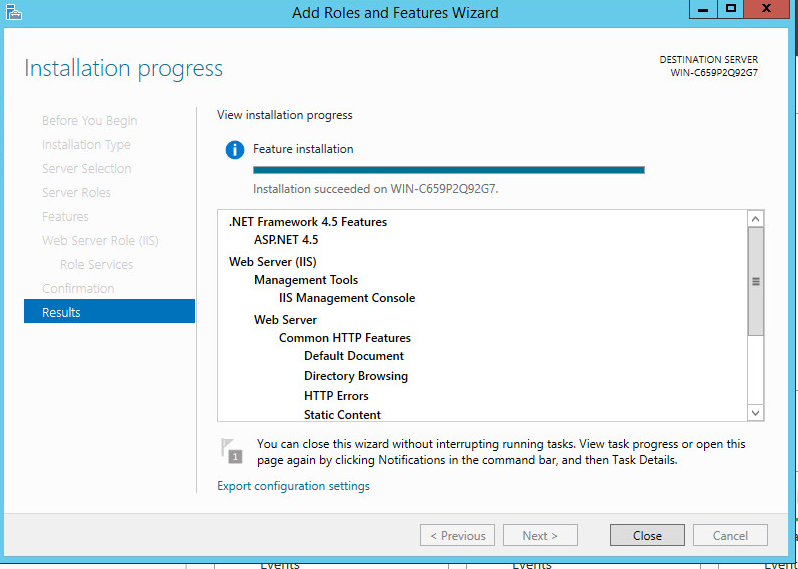 Take note of the screenshot with the installation directory. 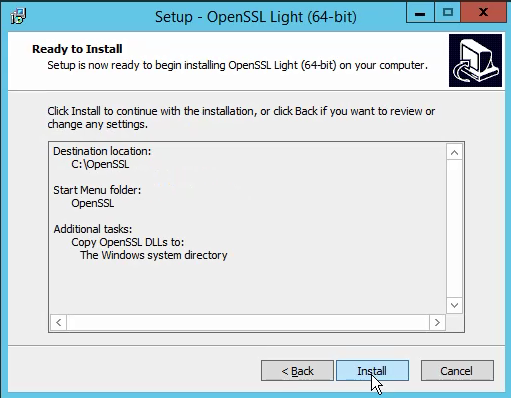 The Batch file that will be used after the installation is pre-configured with this directory. 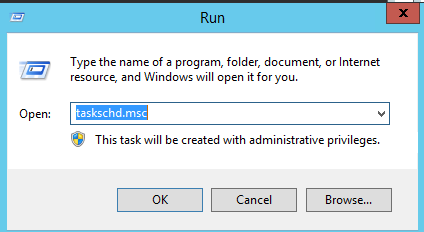 If you change it here be sure to update the path in the batch file as well. 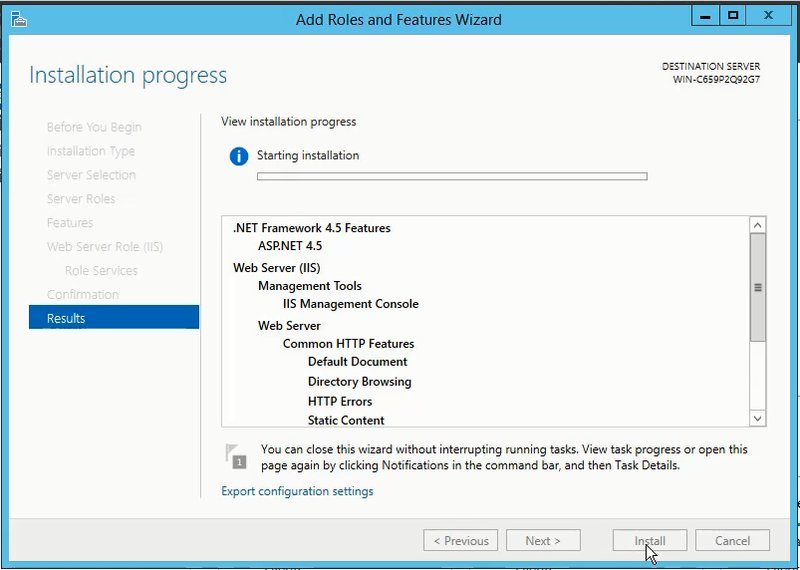 Keeping the Install path as short as possible will help with later configuration. I am sure with more the more installs you do using this you may find the fact that the OpenSSL installer keeps the installation simple. You may want to consider making a donation to help maintain the effort. The Download is a ZIP Archive. Extract the ZIP Files to a Folder and place the folder on the root of the C:\ drive, i.e. The contents of your Directory should look similar to the below. 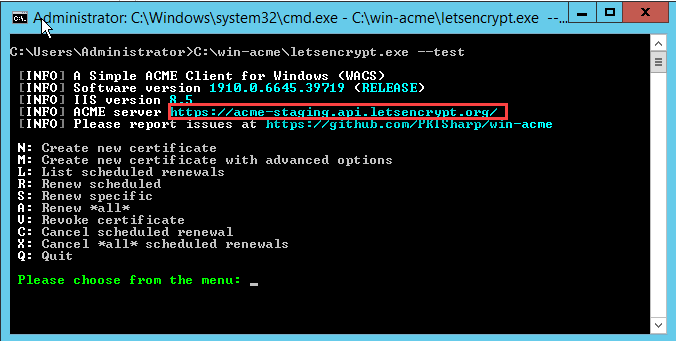 Win-ACME provides the ability to run Lets Encrypt without any command line strings to access the Lets Encrypt Production Servers, or with a Command Line String to Access the Staging Server. A Staging Server should preferably be used to test your installation and ensure that there are no issues getting your certificates validated. 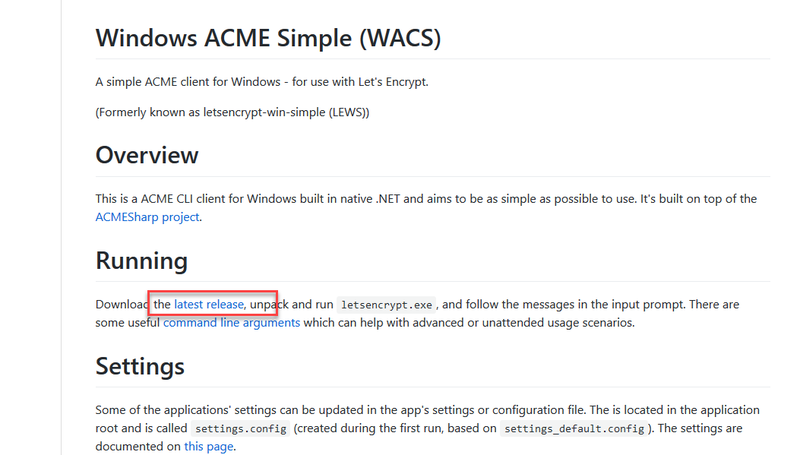 Once the Certificates are successfully created, run Win-Acme again without the Command line string to get your Production Certificate. As Lets Encrypt imposes stricter rate limits as to how many times you can try and request a certificate in a day/week on the production servers vs the staging servers, therefore it is best to iron out any connectivity issues on the Staging servers. 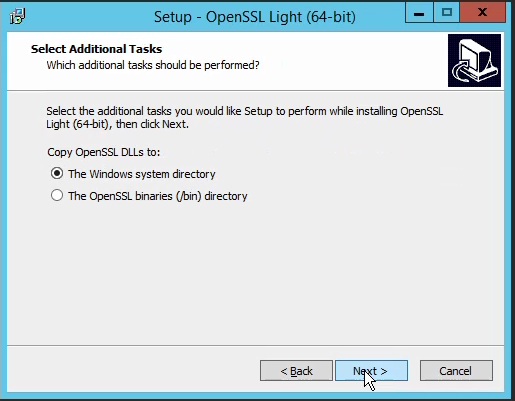 To begin using the Staging Server you should run “Lets Encrypt.exe –test”, i.e. Verify that you are connected to the “acme-staging” server. 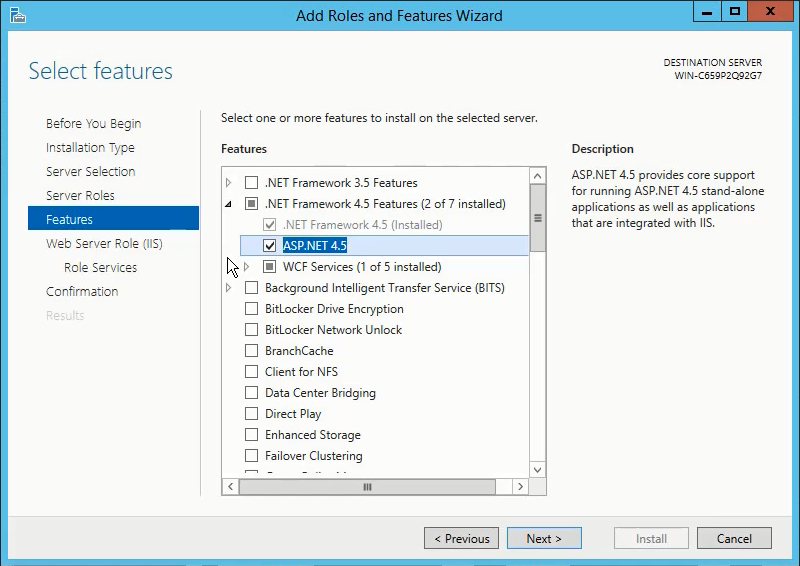 When creating certificates for use on IIS, the Win-ACME client will extract the name (or names) of the Bindings web server bindings. 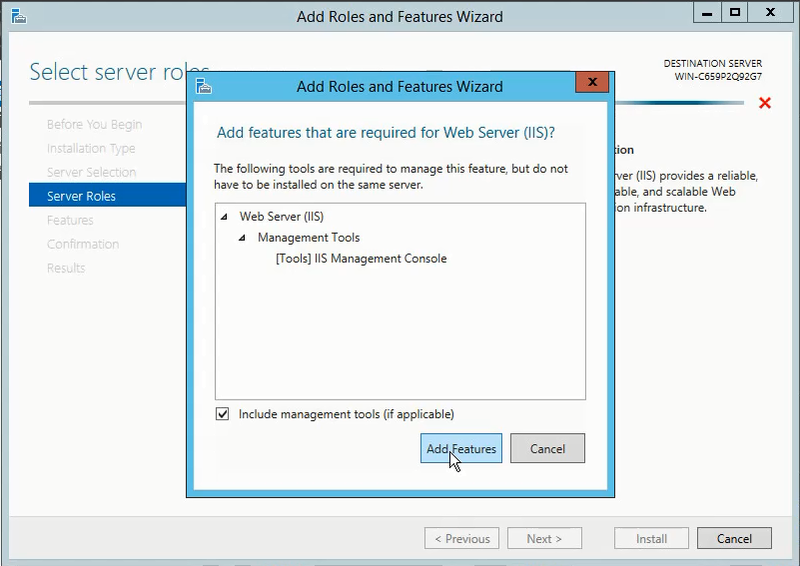 It will also offer the ability to automatically update and enable HTTPS functionality on the IIS Server. 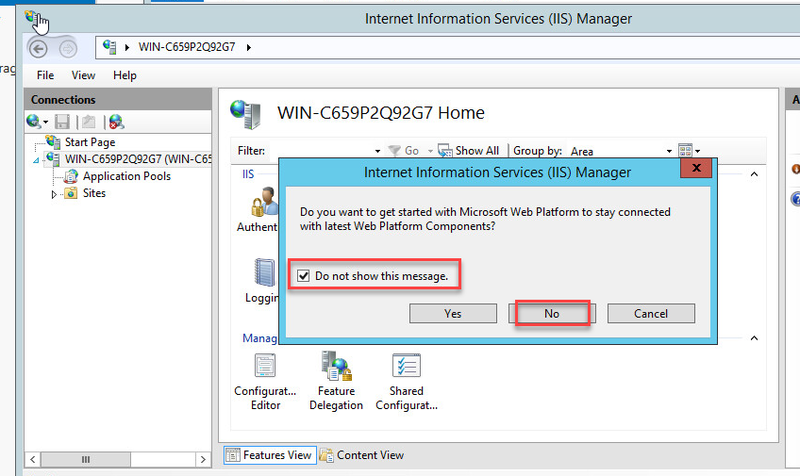 For the sake of this example we will not enable HTTPS for the IIS site. Below is a screenshot of the complete process. There are multiple options that can be used. While in the staging environment you can choose which works best for you. On the first question, we selected N, however M does offer more advanced options. 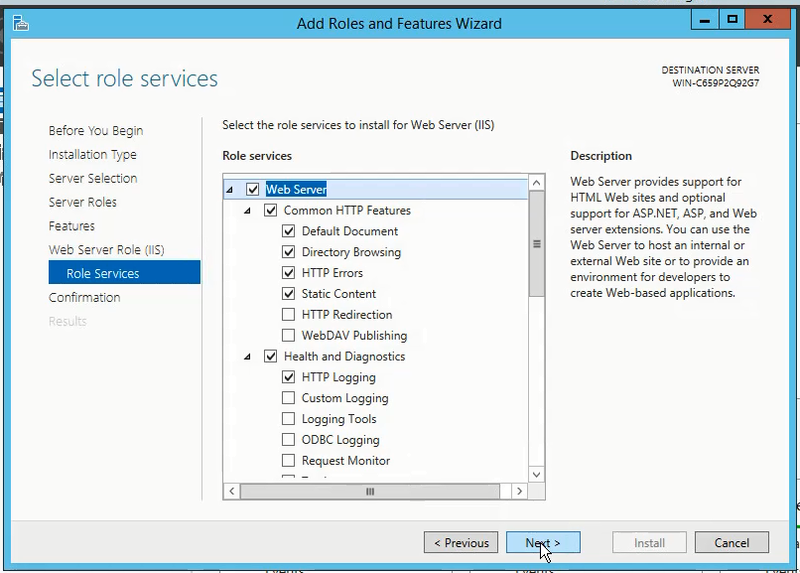 If you only have a single site and all the Bindings are defined already in IIS then N would likely be sufficient. For the second question regarding Bindings, while we chose option 2 in the example as we only have a single binding, option 1 would have also worked. We only have the Default Web Site defined so could select that. If you created a new Web Site then be sure to select the correct Site, as the Bindings will be extracted automatically. When prompted to test the connection in your web browser select Y. This will open your default web browser and connect to a Dynamically created page. If this fails, then the rest of the process will fail. Correct the issue before continuing. While we chose not to have the certificate automatically installed into IIS, this is optional and there is no harm selecting yes. Once completed, and the certificate was created, close the window and open it again without the Command line parameters (double click the Exe file will be sufficient). Follow through the same process and answer the questions as in the Staging environment. 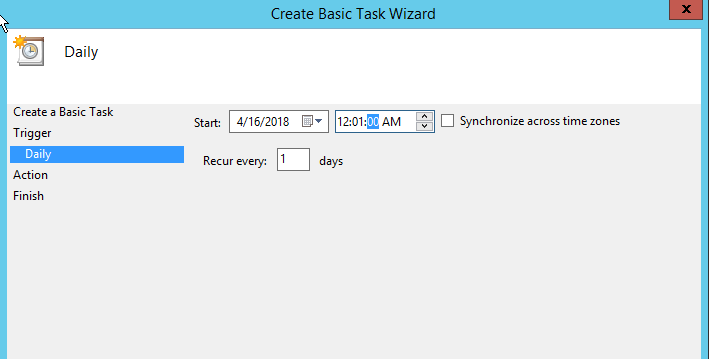 At the end of the process, there are some additional prompts to add a Scheduled Task. Select Yes and use the logged on users account. 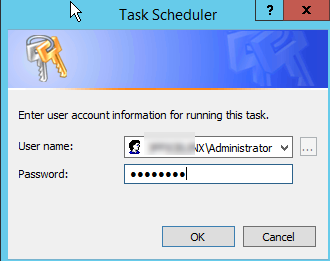 If you wish to use an alternate account you can update the account settings through the task Scheduler. Follow through the rest of the steps, remember to test the connection in your browser. Follow through the same process and answer the questions as in the Staging environment. 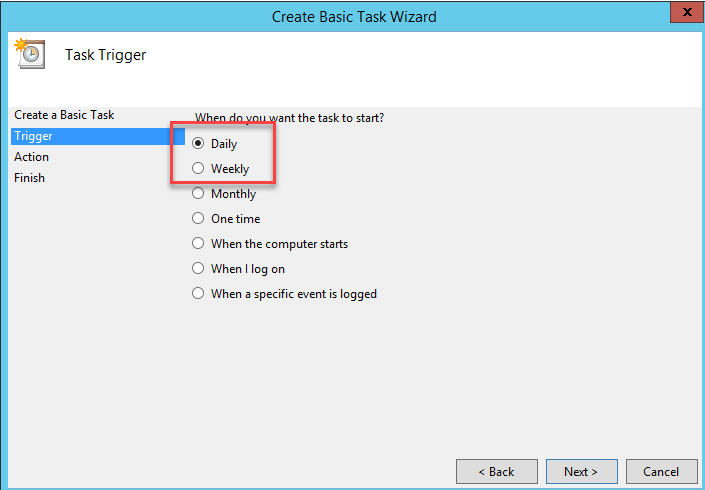 At the end of the process, there are some additional prompts to add a Scheduled Task. Select Yes and u se the logged on users account. 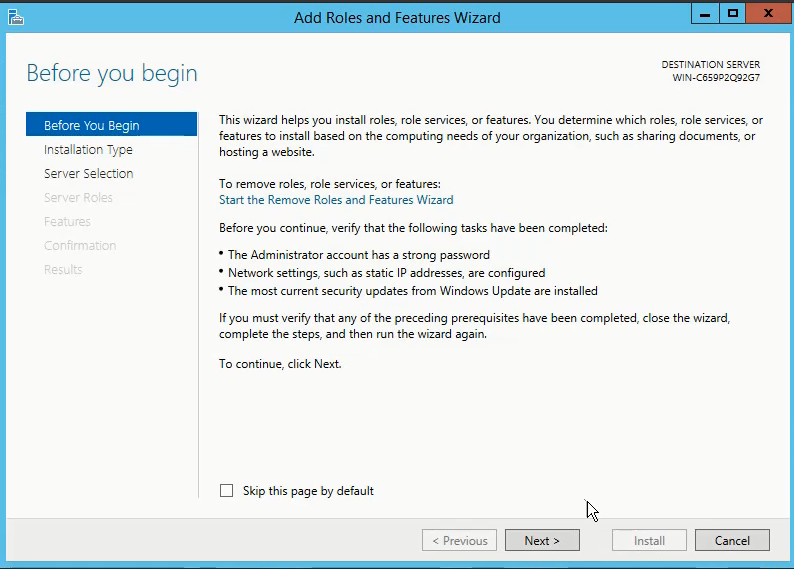 If you wish to use an alternate account you can update the account settings through the task Scheduler. You can create this before or after generating the certificates, however after will allow you to verify the certificate name which is needed to modify the files. CertviewKeystore.bat.txt – A handy script that will allow you to view the certificates. The Embedded file can be modified and renamed to .bat by removing the “.txt” file extension. It is provided for convenience only. The script has been tested and proven to work, however no support is provided. A full copy of each script is also provided in the Appendix Section. Simply copy and paste into a notepad file and save it as a “.bat” file. Once modified and renamed, save the file on the root of the C:\ drive. 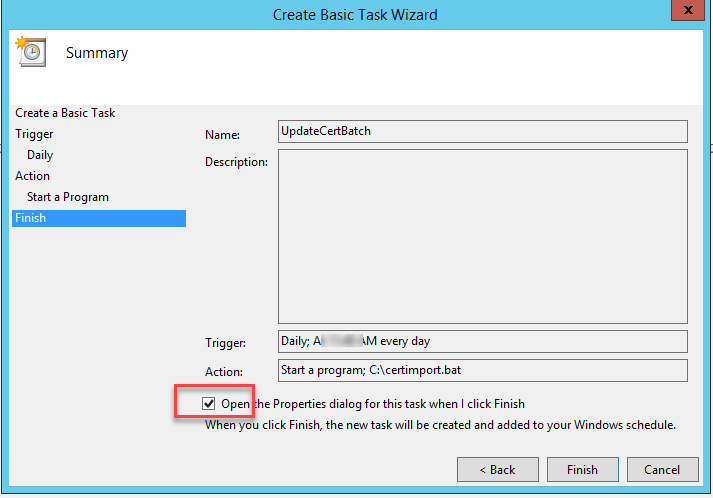 This file will be used to create a scheduled Task once the certificate has been installed. 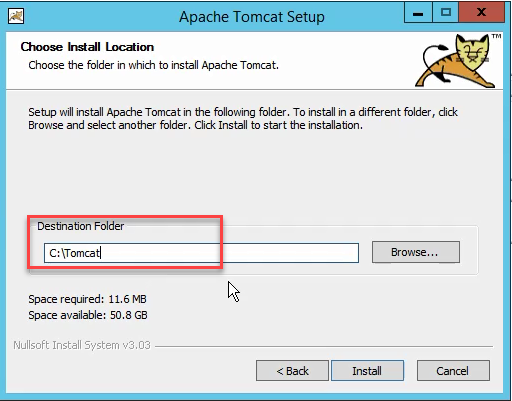 All Tomcat and Keytool directories use the default installation directory used by IPOCC. Installing IPOCC in a different drive or changing the directories is not recommended or supported. If you changed your install directory then you must also update those fields. 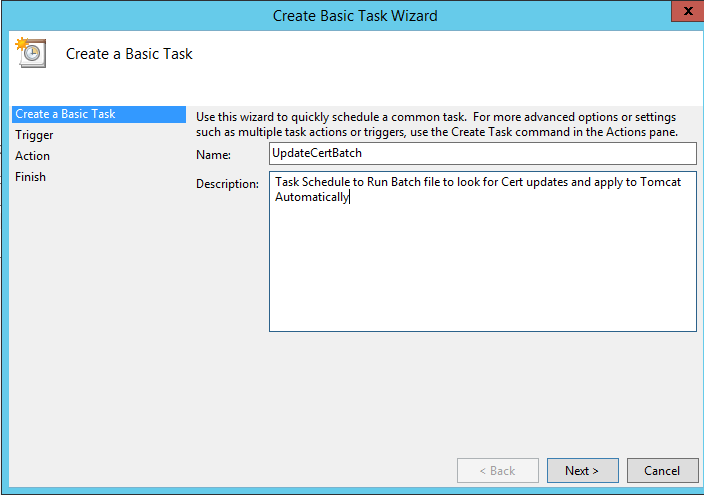 The first time the certificate is created, the Batch file should be manually run. Once the batch file has been run, you will have the option to allow the batch file to automatically exit, or if you press Option 2, you can then scroll up and view the commands and ensure that there are no errors. If the view shows messages like File Overwrite that is fine. If the View shows errors like files that cannot be created, services that cannot be stopped / started, or exits out prematurely, then there is an issue with some of the file name modifications that need to be addressed. As already stated, if you already have a signed certificate on the server and switching to Lets Encrypt then you Must first Manually install the Certificate file using the IPOCC Web UI and replace the existing Certificate. To create the Certificate use the “Createcert.bat” file and modify the values as identified above to first create the certificate, and then upload the certificate to the IPOCC Server using the WebUI. 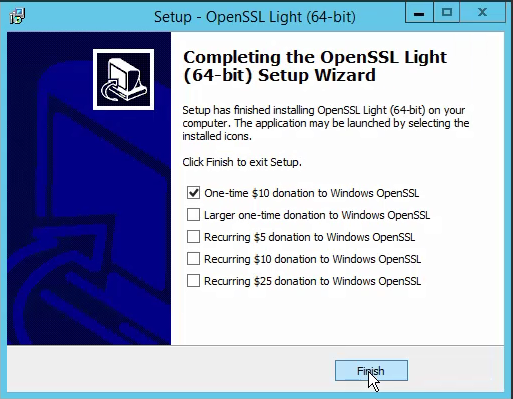 For a Fresh installation, once the Certificate has been created and the file modified with the correct certificate names, run the Batch file and Pause the file at the end. Scroll up and ensure that there are no errors. There should be 3 indications that the File in the Keystore was overwritten. If not then there is a password issue or the file names were not correctly defined. Once everything has been configured and the certificate is successfully installed, the last remaining task is to create a Scheduled Task. IMPORTANT: When replacing the existing certificate, Tomcat requires the Web Services to be restarted. Make sure that the certificate is being replaced at a time / day that will have minimal impact, like late at night or on a weekend. 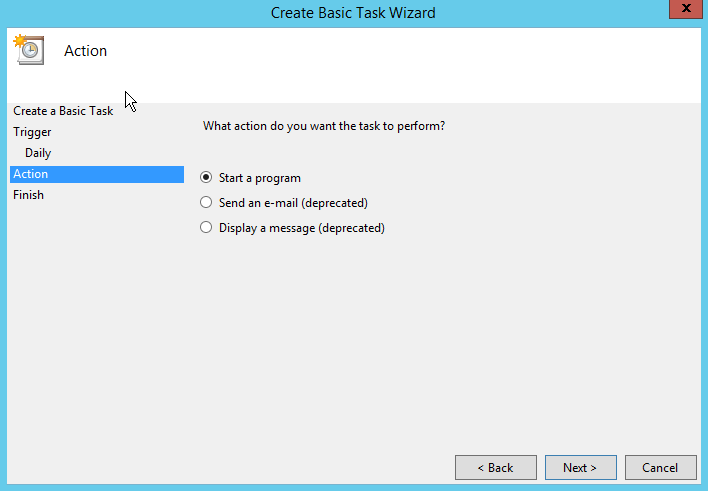 Follow the Steps below to create the scheduled Task. Choose whether the script will run on a daily or weekly basis. For this example we are using Daily and repeating every day. Provide an Account that has suitable privileges to run with the Highest Privileges. Please remember that if you are planning on using the Administrator account, but have a password policy enforced for this account, then you should create an alternate account that does not have the same restrictions, or you will need to keep updating the password. Congratulations, you should now have configured your IPOCC Server to allow the use and automatic updates of Lets Encrypt Certificates. Copy everything between the Lines. :REM Define Path to Keytool and OpenSSL. Keytool is installed by default with IPOCC installation. 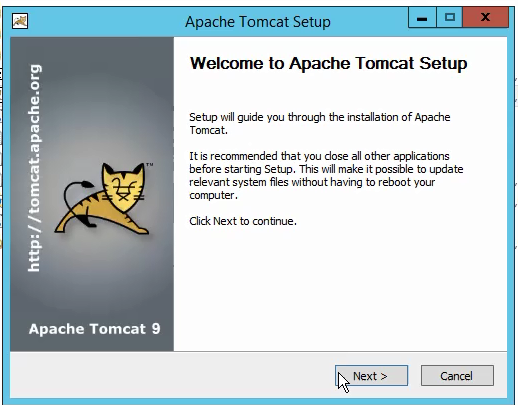 :REM Define Path to IPOCC Tomcat Directory and Password. : REM DO NOT Modify any of the values below this line. If you need to add a PAUSE to check for an issue you may but do not modify the commands. Echo Pausing to check for errors. : Certificates will be printed one certificate at a time to avoid viewing multiple keystores in the same view. The screen is cleared between certificates. Rename the sample Files to Index.html. These are very basic files.